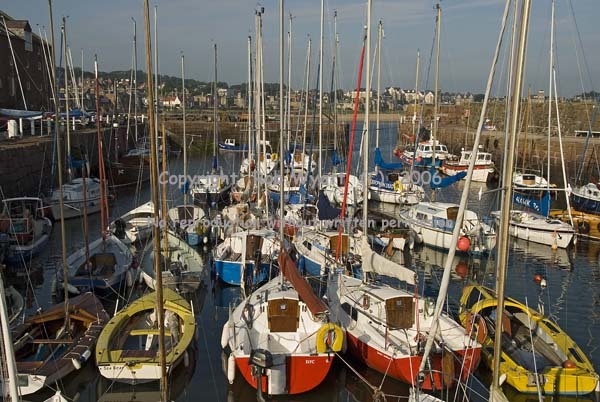 ELYC has a block of harbour moorings, this facility being provided to enable the club to maintain, develop and promote its activities and priorities. These moorings are allocated to members for an annual charge. The maximum size of boat will be similar to the Medina (6m x 2.2m), the boat must sit level or almost level when grounded, and will float in a similar depth of water to the Juno/Medina. Club members wishing to be allocated one of these moorings must apply for one every year. This includes members who wish to retain: either an allocated mooring, or a place on the waiting list. Moorings are allocated at the discretion of the Committee using the following criteria. Existing Allocation - Member who had an allocated mooring in the previous season. Mooring for Racing – Member who gives a firm commitment to participate in the racing programme (target attendance 33% of racing days), and has a club promoted class of boat (presently Juno/Medina type drop keel boat - consult committee for advice). If there is no mooring available then one of the Club’s West Bay moorings may be offered on a temporary basis (charge pro rata). Mooring for Sailing Boat - Member with a sailing boat. Other Mooring – Member with any other type of boat deemed suitable by committee.